Why ask about a good pool cleaning service? Because you've arrived, thats why. There's probably nothing that says we've made it to the good life more than a swimming pool in the backyard of the mansion. Of course, not everybody needs to live that luxuriously, but they all want the enjoyment it provides, not the mention the value it gives the property and equity. The only problem with a pool is, it requires cleaning, and not just once in a while; the maintenance on the average swimming pool is approximately five to seven hours a week! So where do you find a reputable pool cleaning business? The best way is to ask a friend, particularly one in your neighborhood with either a pool or an excellent landscaping service. Most individuals who specialize in lawn and garden care either know someone with a reputable pool cleaning service, or perhaps they manage an adjunctive business themselves. A second method is obviously to comb the internet for a pool cleaning service, but there are some pitfalls there; you want to be sure your pool cleaner has a proper license and certification, and maintains the right pool cleaning equipment. The selection of pool cleaning supplies that a business has is a pretty sure sign of their commitment to the service they offer, because while they may sell and maintain pool cleaning as a service, they should also sell equipment to do-it-yourself customers as well. Remember that youre looking for proof of reliability, since anyone can buy a truckload of pool cleaning supplies and call himself a professional. Another sign of a good pool cleaner is that, in addition to having the best pool cleaning equipment and licensure, he carries liability insurance; after all, hes working in a persons home, in a place that can, for some, be hazardous. In addition, one wants to be sure that the pool and yard itself remains undamaged, and the proper insurance is an excellent indicator of a careful worker. </P> <P>Finally, make sure the pool cleaner is bonded, since his honesty and good standing should be without question; he will frequently have access to the grounds and backyard when no one is home, and theres nothing as secure as a bonded employee. 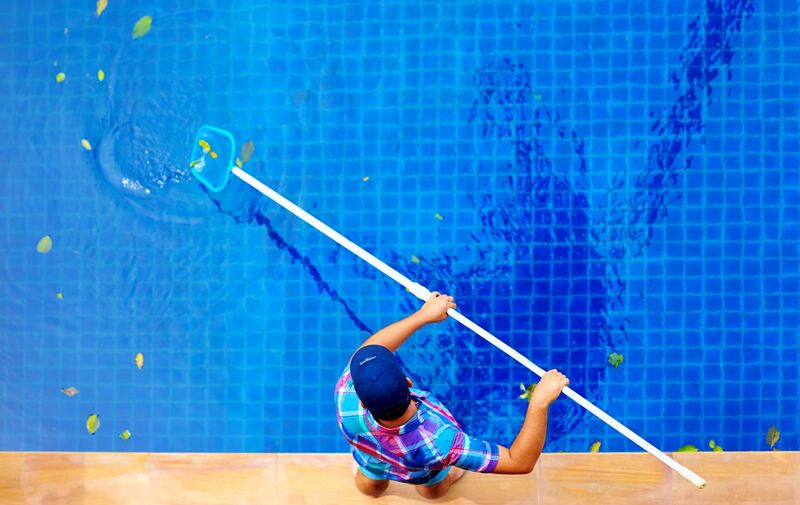 A few other tips may help in the selection of a pool cleaner: its as well to remember that pool cleaning services, as a rule, have high turnover rates (the work is not highly skilled and its seasonal to boot), so its a good idea to ask the company how long they've been in business. Two years or more is a pretty good sign of consistency and long-term commitment to the business. A generational pool-cleaning business, one run from father to son, is ideal; a family committed to a particular business spanning the generations is likely to be properly licensed, bonded, insurance and absolute pros at the job. One can also ask contractors, plumbers, electricians and anybody else who happens to be in the home repair field; many of these professionals work together (on housing locations, for instance), and the pool cleaner is no exception. You may get a top-notch recommendation for a good pool cleaner from your plumber or electrician. Finally, once you decide on a pool cleaner, you should definitely ask for references and have no hesitation about calling people for whom the pool cleaner has worked, to see if they are satisfied with his service. An estimate should be provided free of charge, and all the services should be included in that first document. One should also avoid a monthly service commitment, as it is not only expensive in the long run but also useless for non-seasonal months; a commitment of a few summer months at a time is enough to establish whether or not you got a good pool cleaning service.